First Beauty Box with Full Sized Products?! 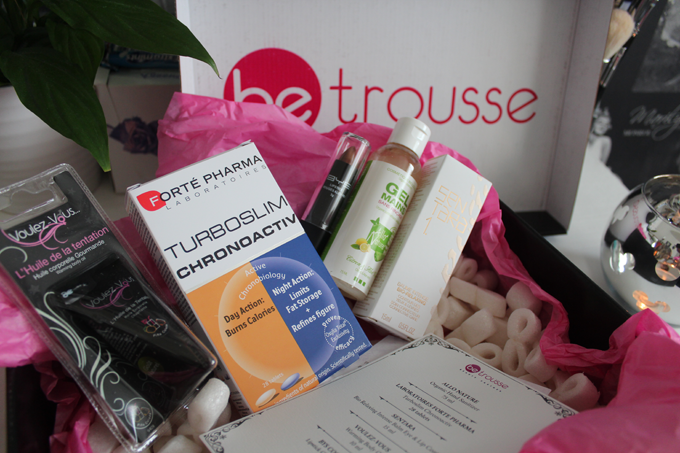 BeTrousse is a beauty box kit based in French giving us beauty with a French touch. They have just recently launched with the UK BeTrousse.co.uk and it's kits include products and brands of cosmetics, health and hygiene. 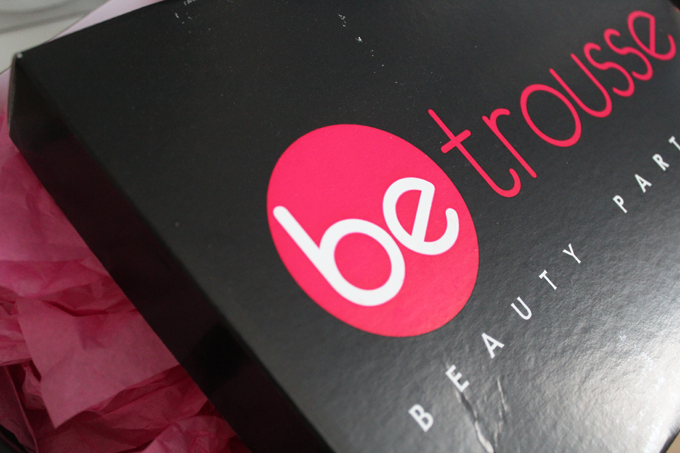 Each month BeTrousse offer themed Beauty Kits with full sized products. You are able to choose products that suit you best. There is also no fixed monthly subscription you buy the monthly box whenever you feel you would like to. 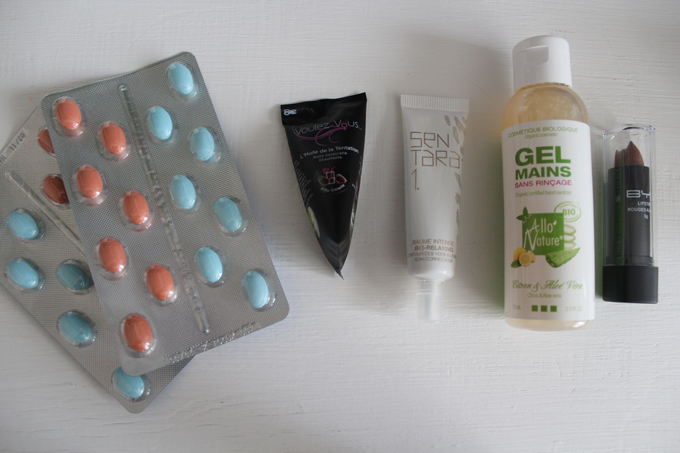 Ranging from £27 - £30 ( keep in mind these are full sized products, no samples ) Their French website have been around for 5 years and offer beauty news and free product testing. I can't swallow tablets .... well not big ones anyway! BYS Cosmetics : When I hear 'Chocolate Sparkle' I of course think cocoa/chocolate and glitter. I'm not afraid of colour on my lips - mid range browns - maybe I am so I was A LITTLE apprehensive when I lip swatched this. The pigmentation is quite good and it's not a drying lipstick either it didn't feel as if when I rubbed my lips together I was rubbing as if I had no teeth - the colour it grew but I don't know if I would personally wear it but who knows - stranger things have happened. Voulez -Vous : .......coucher avec moi ce soir? "This warming body oil reads : Apply Oil of Temptation onto the body. A playful breath will give a soft feeling of warmth; the charm of the kisses will tenderly act upon the skin of your partner, leaving a natural and pleasant taste. The pleasure will be there..." - guess I'll be breathing on myself lol the flavour of this is pina colada wonder how nice it tastes. Sentara : This claims to plump and immediately soothes eye and contour the lips. The 3 powerful plant extracts 'the inca inchi, the acai and the natural silica' help to restore radiance and elasticity to the skin. Thalassine seaweed has an "organic-relaxing" effect which smoothes facial expressions and reduces muscle tension - ( oh looks like I do need this ) It also has ingredients that help skin damage, fine lines, wrinkles, blood circulation, and circles. Night Tablet - limits fat storage during the night whilst firming skin tissues thanks to Oxylia Total, sea collagen and elastin. They claim the proven efficacy is that the effects are felt in the first 15 days of use. Hmmm...sceptical maybe? You ever used a food supplement before? Maybe the only thing I'm not a fan of is the customised 'shoe box' but I guess with them being full sized products need a bigger box - guess I'm use to the smaller ones but I think that would be the only thing I'd personally change.